Will The Next BMW i Series Vehicle Be An SUV? Here at The News Wheel, several of us love the BMW i Series for its commitment to EV technology and, quite frankly, because these are some pretty stylish cars, electric or not. We have known for a while that there was going to be a new all-electric car joining the collection, probably loaded with autonomous drive. It was reported earlier this year that the vehicle has a projected release date of 2021, but today we heard what kind of vehicle this could possibly be. According to Autocar, the newest member of the i Series will be an SUV. 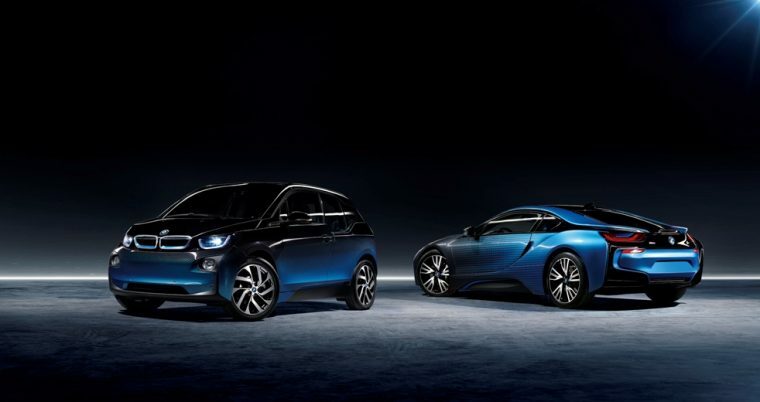 You might be thinking to yourself that there is already an SUV in the BMW i Series, the BMW i3. The i3 might have he bearing of an SUV, sitting up off the ground, but it’s really more of a car. This new vehicle would be an SUV in every sense of the word, especially in size. Reportedly, the latest ride would be larger to accommodate larger battery packs and the technology needed for autonomous drive. It doesn’t hurt that SUVs are currently the vehicle body type in the most demand, and usually hold more profits for automakers. While the new member of the i Series will launch in 2021, the company seems to have a goal of complete autonomy by 2025. While Autocar is sure in its source on this information, BMW has not responded to requests for comment from the site or fellow automotive news source Business Insider. Keep your fingers crossed that we’re right, because a self-driving SUV would make family road trips so much better.